This fifteen-minute video shows how Jeff Anderson uses playful strategies and mentor texts to engage writers in grammar and editing. 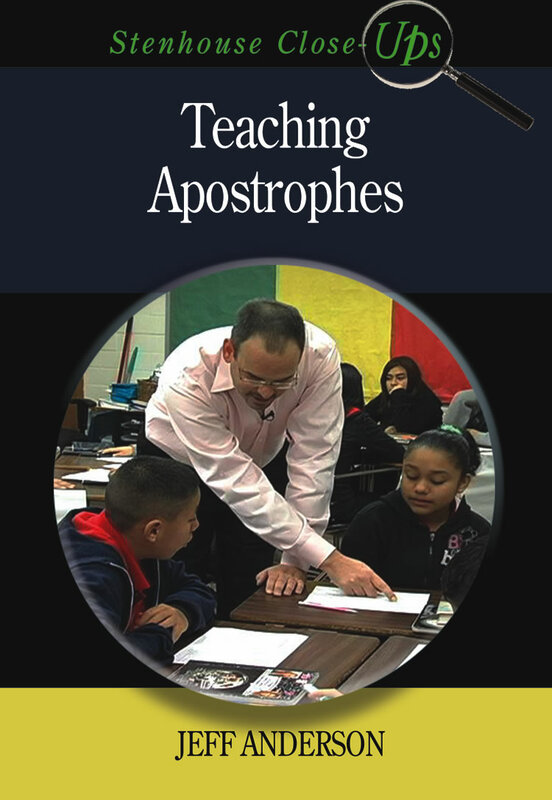 In the "Apostrophe-thon," Jeff's sixth-grade students in San Antonio, Texas, search through a mentor text excerpt to find examples of apostrophes and then categorize them as possessives or contractions based on a wall chart the class has compiled. Using real text, the students never fail to come up with some interesting examples such as "o'clock" and the two meanings of "they'd."